Great to have you along. Will be looking forward to your Pz IIIJ build. Seems you have some nice goodies to go with, as well. The Mark IIIH is just about done gluing. This is my first time doing individual tracks and boy is it a pain, but so far I'm liking the results. Early stages of my base for the Mark III diorama. Very basic celluclay, static grass, cat litter for littles rocks. For the pig pen I'm using a mud product from MIG, first time using this too, I like it, but I'm likely going to add some more layers either through washes or highlighting to get the effect I desire. Here's the base. I like how it's come out so far. For the rubble I've used crushed brick and Pegasus bricks and other miscellaneous items. The Pegasus bricks and real life bricks don't match in color, not sure if I like this or if I'll try and touch it up some, maybe a couple more washes will help blend them. Another picture of the T-34 diorama. Anyone of these two dioramas by themselves would have provided a decent challenge because of the new techniques and ideas I'm trying, the fact that I'm doing the two of them at once just increases that challenge. I really like Pz IV's and only have a D and and an F on my shelf at present but I have built nine of the non-tank variants, while at the same time I have two only Marders--both III's. HI Pathfinder. The model and Dio are looking good. A tip on the indy link construction , you might find it easier to do the bottom part first. That is flat and you can sit the vehicle on them, then curl up the ends around the sprocket stopping about the 11 o'clock position, making fit around the teeth easier and giving you a solid position to later glue the top run to. Use a good strong tape on the whole track face to stop them coming apart, then curl the track run over the sprocket and idler and secure the tape to the return rollers to keep the tension around the curls and let the glue set up. The new top run can later be done the same way and glued to the lower run link at the sprocket end first and the end links will fit in the sprocket teeth from just before 11 o'clock to 1 o'clock, holding them tightly in place while you work the other end and do the slack between return rollers/ and idler. Having tape along the whole top run and using that to secure the ends around the sprocket and idler will hold the joins firmly onto the lower run. The tape will hold the links when you press down between the return rollers to make the slack, so you wont pull links apart. Both of your dioramas are looking very interesting, and I like how they're coming together. I;ve only done indy links a couple times myself, but I think you're doing very well. Anything beats rubber band tracks. Keep up the motivating work! Gee, Pete! Where were you when I was ruining my first set of indy links?? At this stage, the wheels and idler arms are only held in place by blutack... but the dreaded tracks are at least complete. And here the tracks have been primed and the idler arms glued and drying. All wheels and sprockets only held on by friction. I try Masterclub resin tracks on my KV-8 kit and they were just awful to put together. Those resin pins would not fit and kept bending. Now Masterclub metal tracks are wonderful. 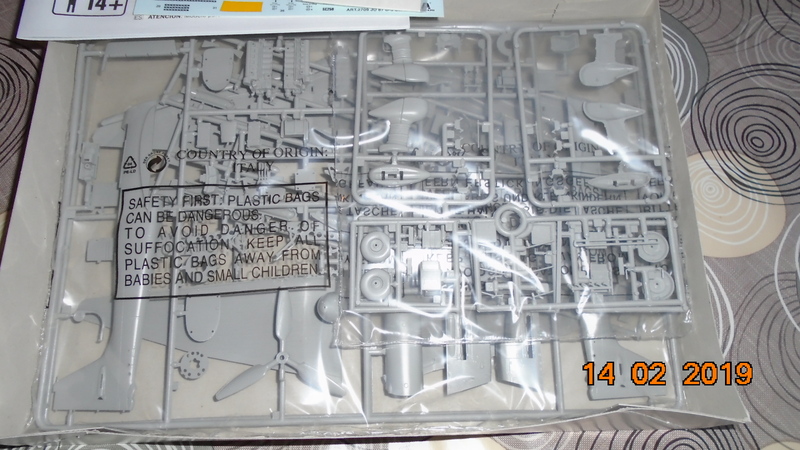 I just put a set together on my Tamiya Elephant kit and those resin pins went in without a problem and I have not needed to use any glue to keep them in place. They fit perfectly around the drive sprocket. I ended up using metal wire to hold those resin tracks together. Never will buy another set of resin tracks from Masterclub. Did you have to drill the pin holes? No, I didn't have too they went right in. The fit was just right, the pins stayed in place no matter how many times I flexed the tracks. Thanks for the fill-in, Mark! That opens up another alternative to Friuls. Have you looked at Kaizen tracks? They are a resin track and they use wire to pin the tacks together. Very nice tracks, no clean up, the wire fits nicely with a spot of thin CA to hold. They move and will sag just like metal tracks when assembled and cost a third or half of Friul tracks. They have a limited selection mainly Sherman, Tigers, Panzer III and IV and some T-34. They are my go to after market tracks when I am building these models. I've only just heard of Kaizen tracks recently. I'll think of them next time I need to order some tracks and see if I can find what I need from a close shipping source. 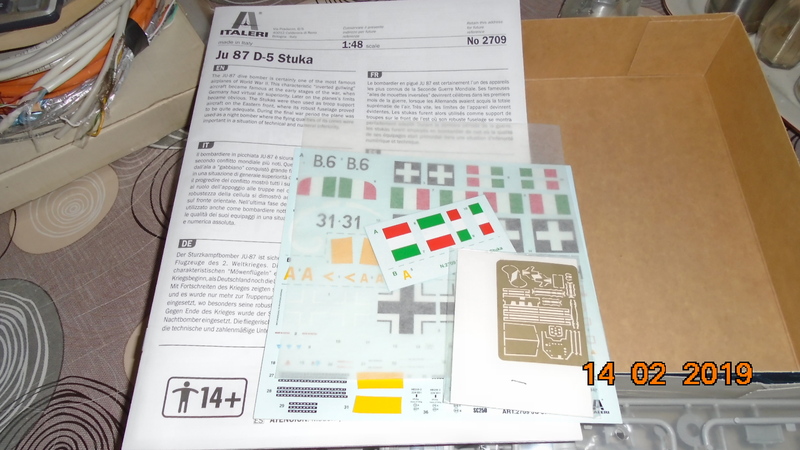 I‘II build a Junkers Ju-87 D-1 or D-3 of II./StG.3 "Immelmann". The basis of my project is Italeri 2709 Ju-87 D-5, which with some upgrades should become the early version. Good luck to everyone in the campaign! Welcome to the campaign! 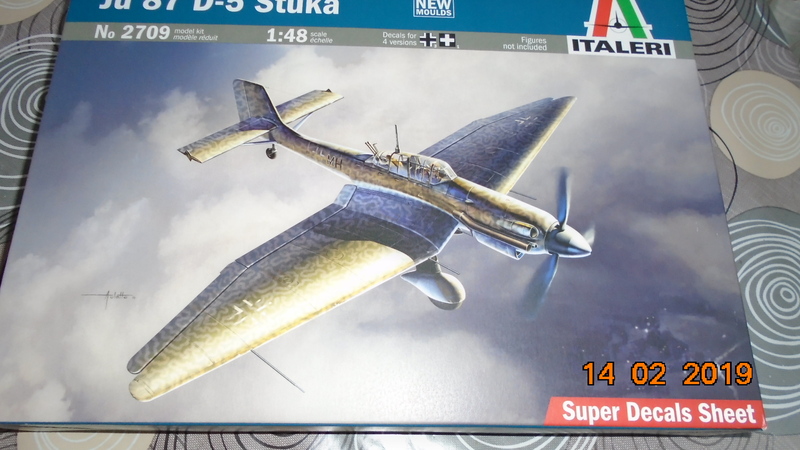 Great to see a Stuka in the works! Welcome to the campaign, really liking your choice. Some 'upgrades' Kalin? Weren't the wings around 60cm longer on the Ju87 D-5 than previous versions. If that is what you call an upgrade, I'd hate to see what you call a major modification!! I fought with the snow for quite a bit but finally plowed through to my current state. Everything is dryfitted to help me figure out my next step after weathering the underside of the beast. Nice effect, not over done. Wow, Peter that is amazing! That says alot about the Christie suspension.